I’m an educator at heart. When I taught high school, I loved watching light bulbs flick on as my students grasped a new concept. Many people consider lecturing the most important part of teaching. However, the more years I taught, the more I realized students learned as much from my questions as my explanations. While lecture may offer knowledge, comprehension and even some application, questions force students deeper into Bloom’s taxonomy—analysis, synthesis, and evaluation. Questions allow students to verbalize their understanding and learn as they share their answers. The mind focuses and engages in a different way when asked something than when told something. That’s why I’ve always enjoyed small group Bible studies. When people are gathered around the Word, discussing it together, there’s an opportunity for a wealth of learning—both from the leader and also from one another. Yet we’ve all experienced the awkward moment when small groups go silent. Teachers may have done their homework. They may know all the ins and outs of the theological landscape of the passage being studied. Yet something is missing. What can make or break a small group time together often has less to do with what teachers know and more to do with what they ask. Here are a few types of questions to be on your guard against. They’re pretty much guaranteed to stifle discussion. 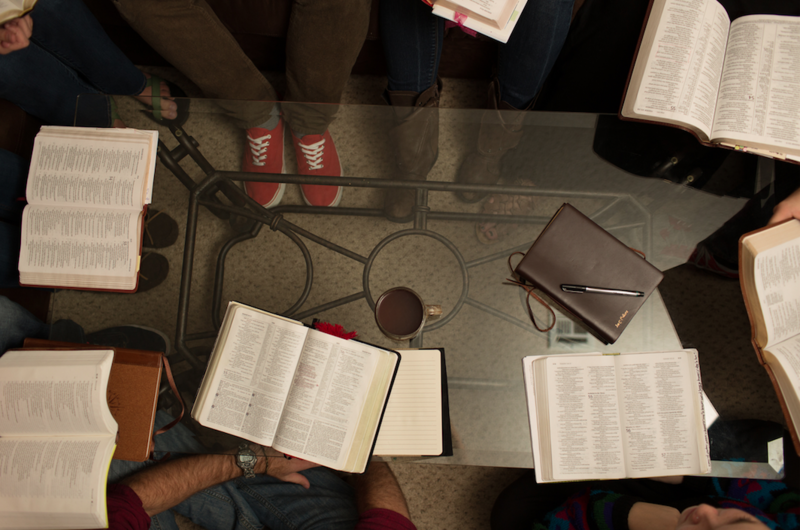 While observation questions are excellent for personal Bible study, in groups settings they often fall flat. Everyone knows the answer and no one wants to say it. Why? Because it’s RIGHT THERE in front of everyone. Observing the passage is a good thing, but there are ways to do it that allow multiple people to chime in with their thoughts. I’m all for openness and vulnerability in small groups. However, some questions fall flat because they require too much information too soon, especially in mixed settings. I’ve found asking application questions in a general sense can invite vulnerability without forcing it. Asking a question like, “Where are you struggling with sexual sin like David?” might lead to awkward silence or even more awkwardly, too many words (that can never be unheard). A more general way to think through an application on the same point is a question that acknowledges the struggle, and seeks to work through it: “In the church today, many are struggling with sexual temptation. What practices and habits can we put into place to help us to fight temptation?” This can lead to a helpful conversation about resources and accountability, and allow the opportunity to discuss private struggles in a one-on-one setting. Just like it takes time to know how to teach a passage, it takes time to formulate good questions. Eliminating Captain Obvious, One-Word Wonders, Mission Impossible, and TMI questions is the first step. Next week, I’ll offer four suggestions for crafting question that invite discussion.